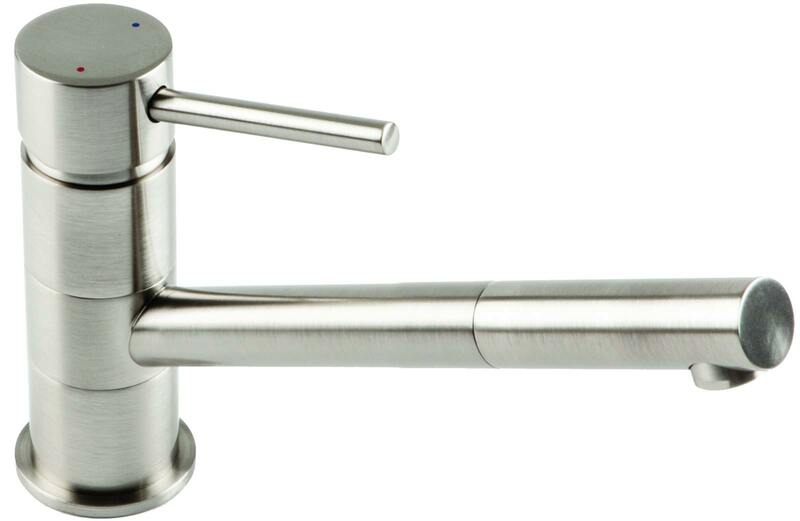 The 1810 Company Pluie Angled Spout Kitchen Sink Mixer Tap incorporates quality design and function and comes to you with an affordable price tag. It features a slender cylindrical body with a projecting swivel spout for maximum convenience in carrying out various kitchen tasks. 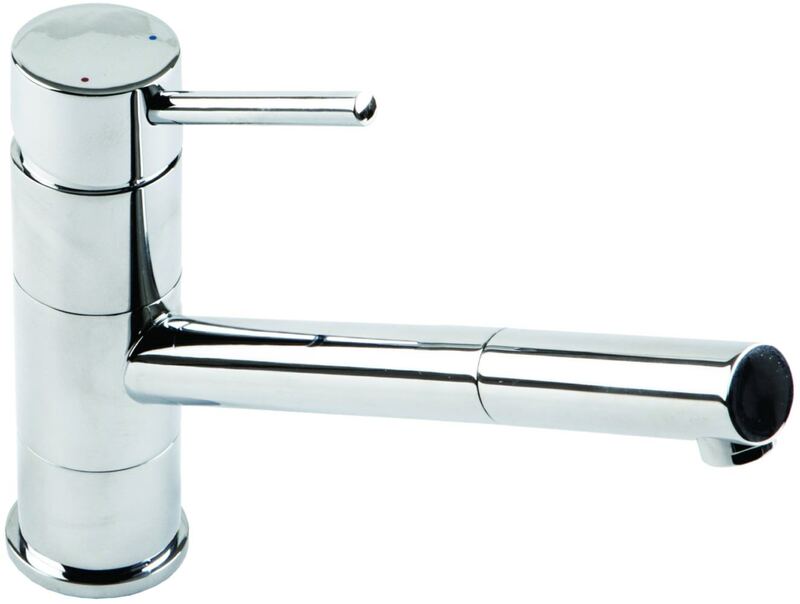 It has a twist and turn single lever handle that provides one-handed control, usually clockwise and anticlockwise for temperature adjustment and upward-lifting for flow control. 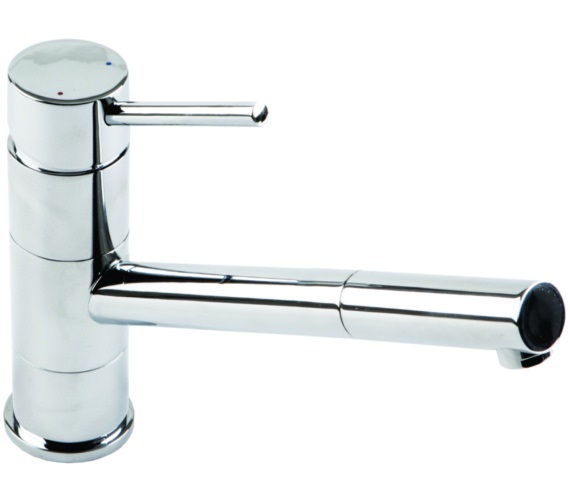 It is available in a choice of either classic chrome or beautiful brushed steel finishes suiting all tastes and settings. It is supplied complete with flexible tails and a Neopearl Aerator which provides a non-splashing creamy flow. 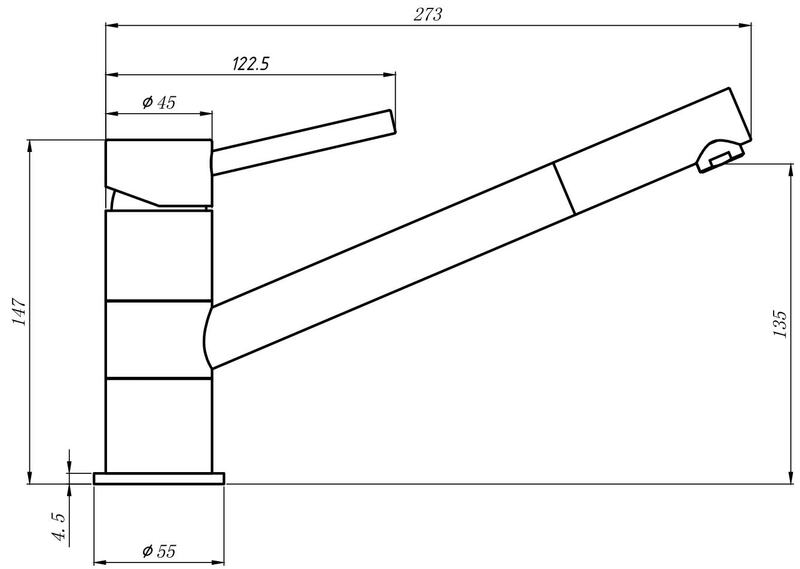 It comes with a two year guarantee from the manufacturer.